Summer has arrived and brought many diseases. In the summer, you may have stomach or acid problem due to having too much fry, grilled or spicy food. In this case, you may have problem in lungs, digestive system and throat. Hot dog, burger, salad dressing, sauce, soda and alcohol make body warmer which we seem to be heart related problem. 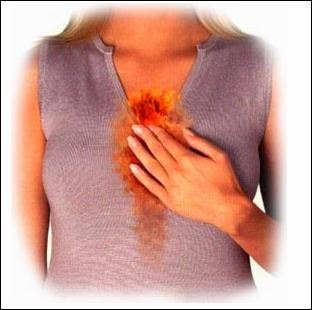 People who are suffering from chest pain they may get heart attack. Banana: You should eat banana in summer. It contains potassium which prevents from the heat burn. Smoking: Smoking is very dangerous in summer. Smoking causes acid in your body. You should avoid smoking in summer. Meat: If you are having meat then you should eat skin less chicken. If you’re eating fish then do not fried it too much. After Meal: Do not sleep immediately after meal in the summer. Try to eat your dinner as early as possible. You should keep gap between your sleep and dinner so that it get time to digest. Eat Green Vegetables: You should eat more green vegetables in summer. You have to include salad and tomato in your diet. Beverages: Avoid cold beverages such as soda or alcohol. It increases the acidity in the body. Exercise: You should keep in mind that you maintain gaps between exercise and your meal in the summer. Fruit: Do not eat such fruits like strawberries, lemon or oranges which makes acid in the body. You can eat watermelon or muskmelon.